The winner of the Global Interactive Movement competition is Discover Turkey with video - Submitted by community memeber Ibrahim Ercan. The jury's comments are: A smart way of enriching an Image Hotspot with content, it looks nice, and it's informative. Ibrahim Ercan will receive an Amazon gift certificate of US$ 200 for his contribution. Here are all the content created by the community presented on a world map. 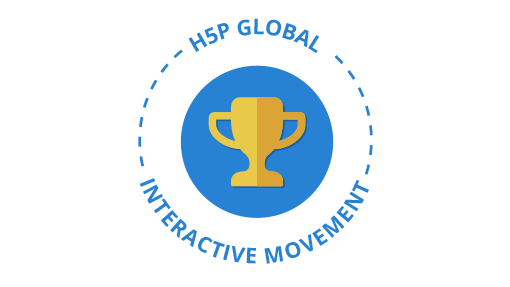 The purpose of the Global Interactive Movement was to show the world that Interactive Content is easy to create, share and reuse. A unique feature of H5P is the ease of reusing existing content. In order to allow the community to experience how easy it is to reuse H5P content, we shared some content examples for modification or translation. As H5P and OER share the same purpose to a great extent, we shared a timeline of the history on Open Educational Resources (OER). This timeline was translated into three different languages, including Spanish, Amharic and Norwegian. Extensions were also created. This timeline apparently inspired the community to create other timelines; Ethiopian history timeline in English and Amharic, The Complete Works of Shakespeare and The evolution of the Supercomputer.